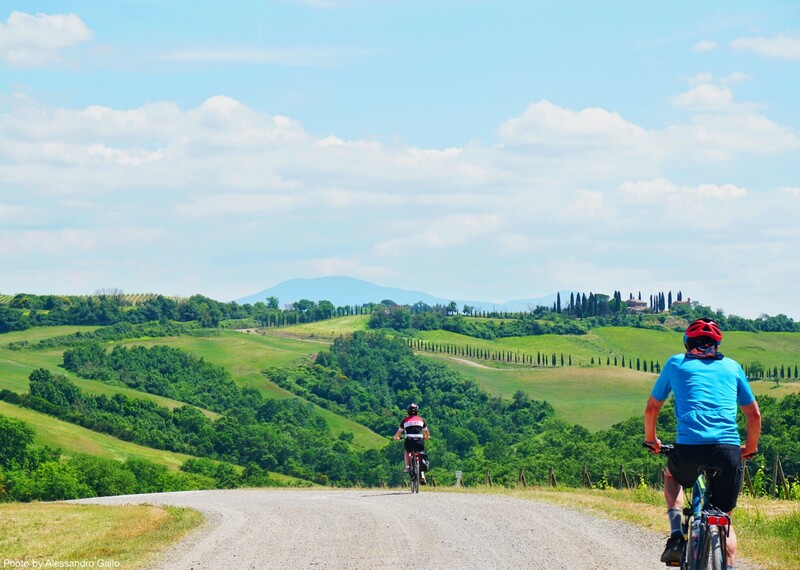 Join us on this guided cycling holiday in Italy where we'll be tracing the steps of the Via Francigena, an ancient route packed full of historical gems and idyllic Italian countryside. 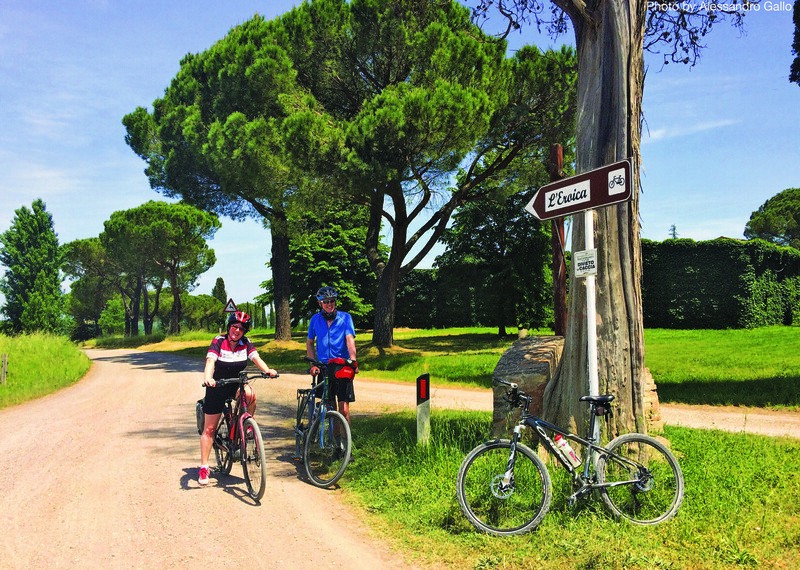 Once the favoured route for merchants, armies and pilgrims travelling from Canterbury to Rome (and all the way through to Jerusalem), our version of the Via Francigena picks up the trail in Tuscany and offers an inspiring journey through the heart of Italy, right up to the mighty St Peter’s Square in Rome. Starting just outside of the enthralling San Gimignano, you’ll have the chance to explore this unique UNESCO treasure and admire its many medieval towers. Here you’ll get a great introduction to Tuscan way of life, a landscape famed for its idyllic cypress lined horizons, endless fields of golden corn and medieval hilltop towns. 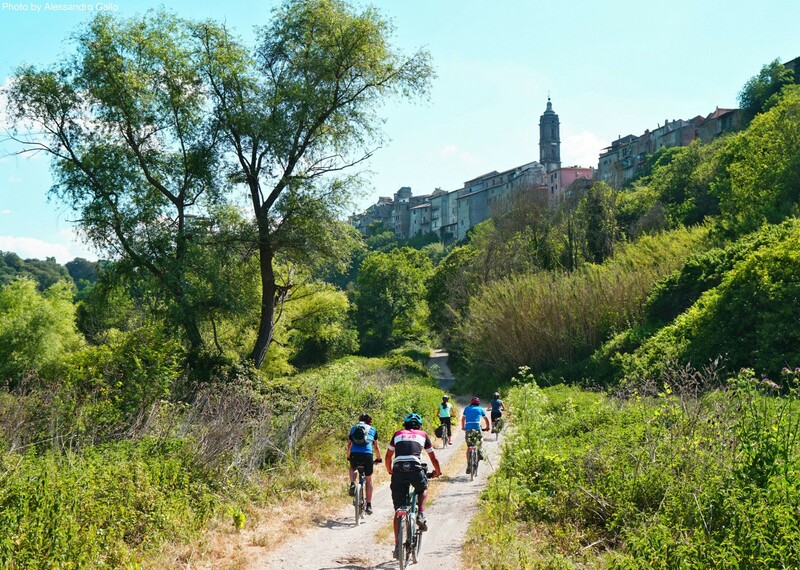 We’ll then head south following the Via Francigena on a range of quiet country lanes, ancient Roman roads, over rolling hills, through woodland and passing through ancient towns. 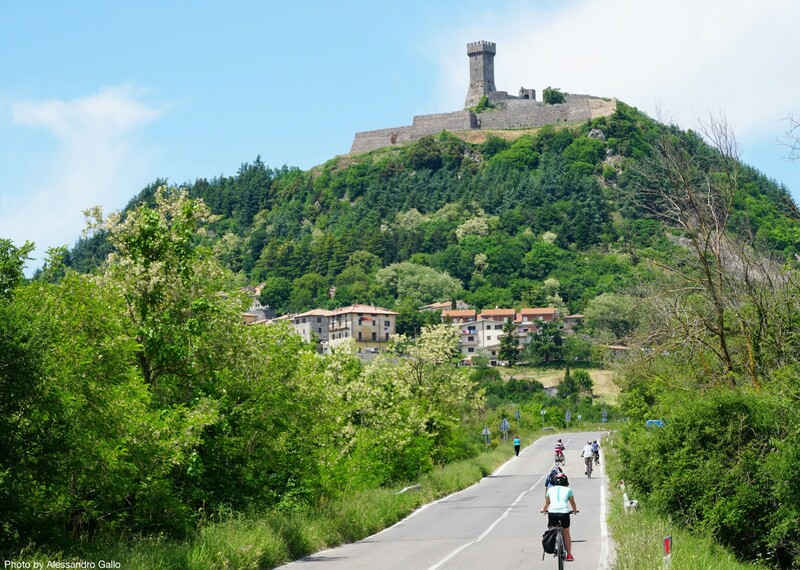 This route joins up some of the major Tuscan highlights, including Siena, Montiriggioni and San Quirico. Our journey has two distinct halves and as we leave Tuscany and enter Lazio, the landscape changes as well as the feel of the towns, a change which only adds to the sense of journey. 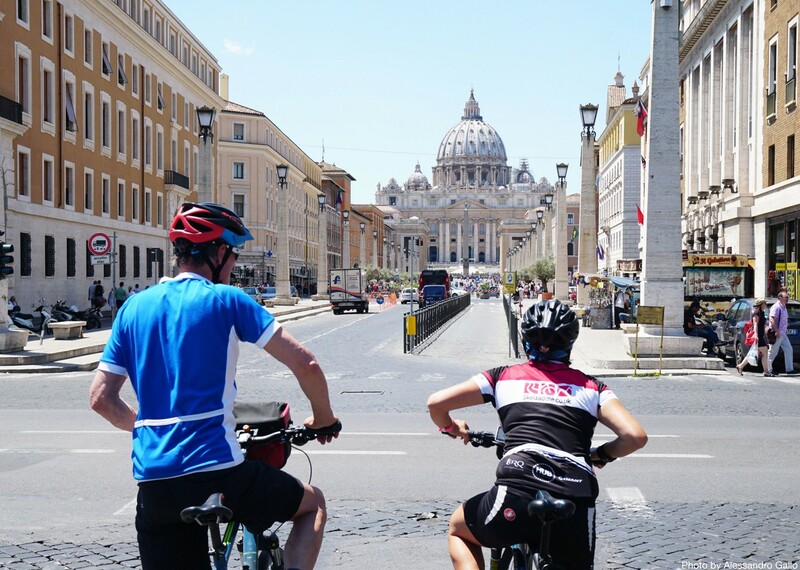 Heading ever south, we’ll cycle through varying scenery and changing terrain, eventually pedallin’ into the outskirts of Rome where our own pilgrimage comes to a dramatic end, riding into St. Peter's Square. 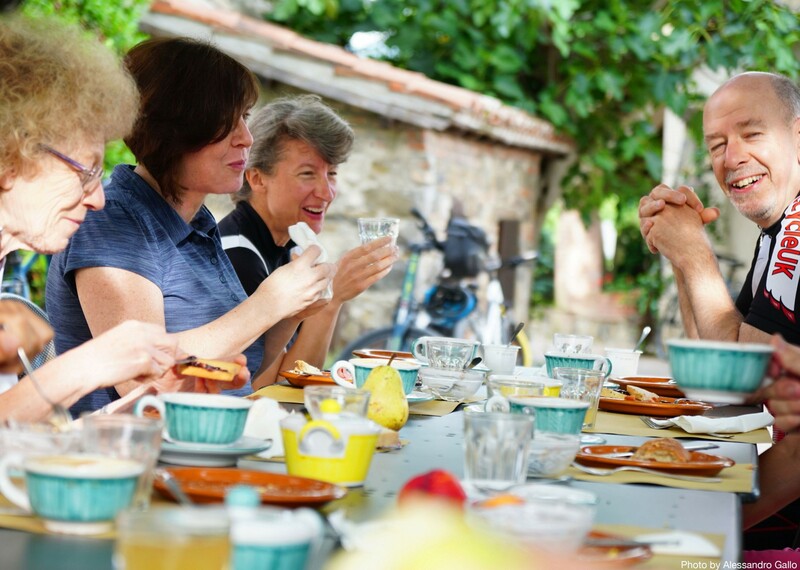 Along the way we’ll stay in a range of good quality local hotels and agriturismi, which enable you to experience true Italian hospitality and of course indulge in some delicious local cuisine. 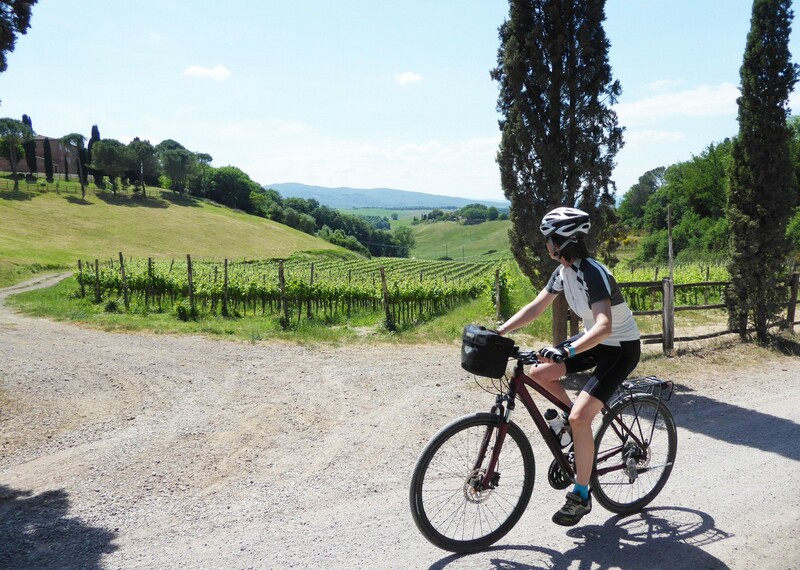 We also have a mountain biking version of this trip available which follows alternative, off road routes along the Via Francigena. Italy - Via Francigena (Tuscany to Rome) from Saddle Skedaddle on Vimeo. Follow an old pilgrims’ route through the Tuscan hills from San Gimignano to St Peter’s Square in Rome. Encounter rolling countryside studded with tall cypress trees and delightful hill towns. Didn't have to worry about the logistics, just cycling and eating! 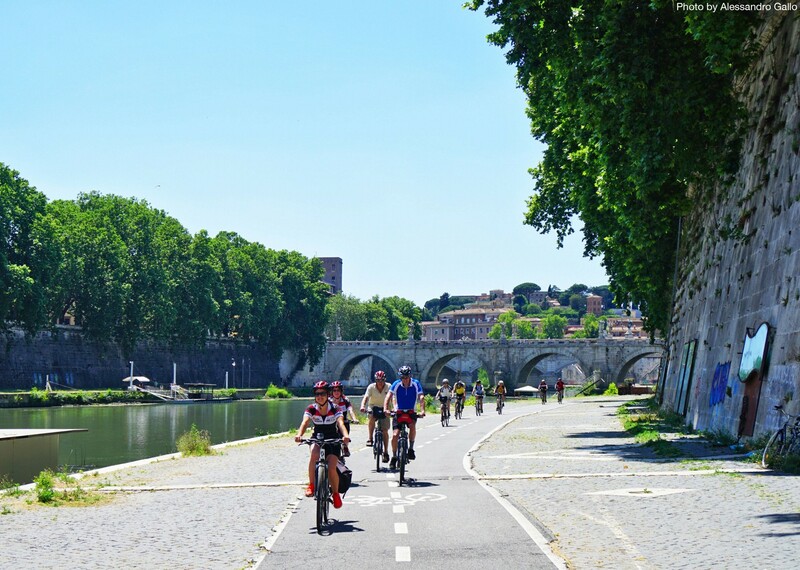 This route took us to places we would not normally have visited on a standard tourist route in Italy and allowed us to meet the locals and see aspects of Italian life outside of the main tourist areas. Overall standard of accommodation was a pleasant surprise and pleased so many had pools. Our guide was really excellent; she was friendly, professional and knowledgeable about the route and places to visit on the way. Didn’t have to worry about the logistics, just cycling and eating! For those with time to burn, it has to be the Via Francigena, an ancient pilgrim route that finishes in Rome. 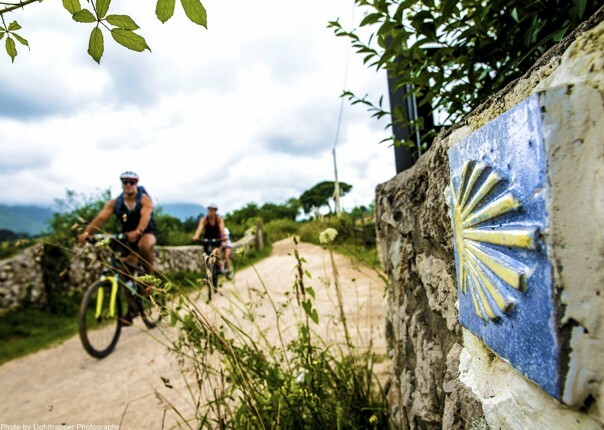 It is the longest signposted cycle route in Italy, 620 miles from the Great St Bernard Pass to St Peter’s. 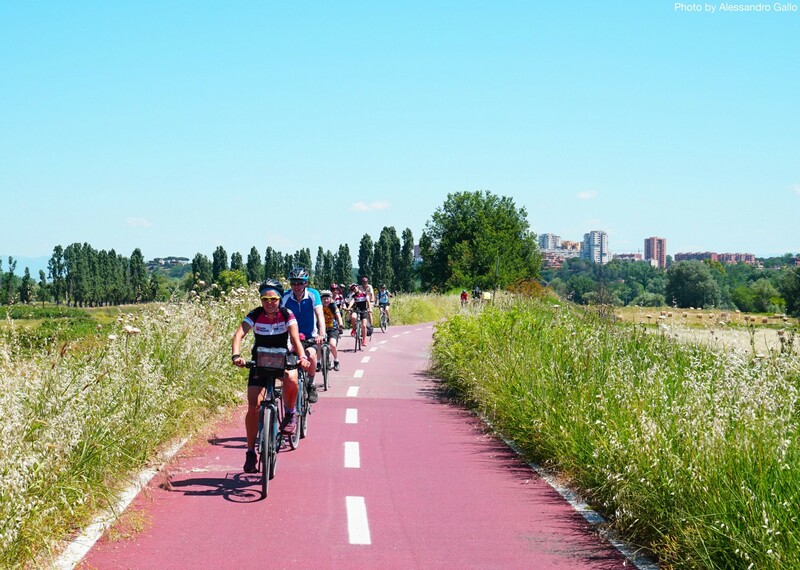 Or, for something more manageable, tackle the final 200 miles. 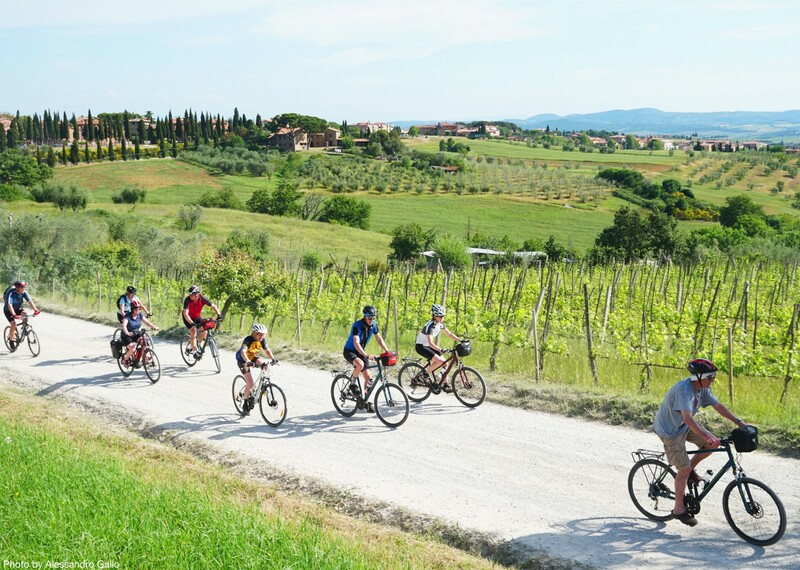 It features the most picturesque landscapes – Tuscany – and still offers the satisfaction of rolling into Rome. Adam Ruck wrote about the ride for Telegraph Travel earlier this year. “Beneath a cloudless sky, Tuscany is a picture: the fields not yet cut and dried, but spring green and ablaze with poppies,” he said. “Cypresses line the road and prick the skyline in a landscape lifted from a Renaissance painting. One of the most enjoyable holidays! One of the most enjoyable holidays, probably made more so by the fun loving group! Hotels were extremely good with the scenic swimming pools as an added bonus. Our Tour leader Cristina had just the right combination of safety, when required, and fun. She provided an alternative route for the weaker rider to ensure they had an equally enjoyable experience. It’s a nice touch to be contacted by phone just prior to the beginning of the holiday to ensure all is ok. I have already recommended Skedaddle to my friends on numerous occasions! 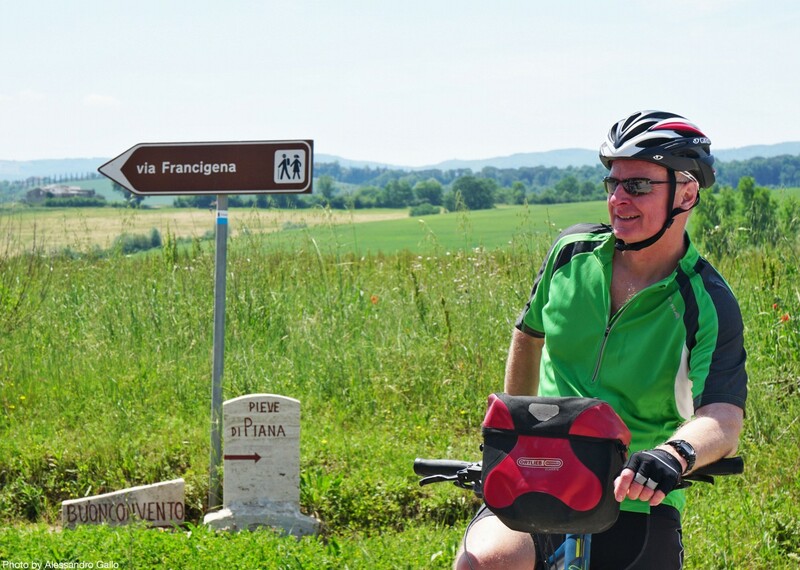 Completed in 2016 after a 10-year campaign of marking and mapping, the Via Francigena is the longest signposted cycle route in Italy. 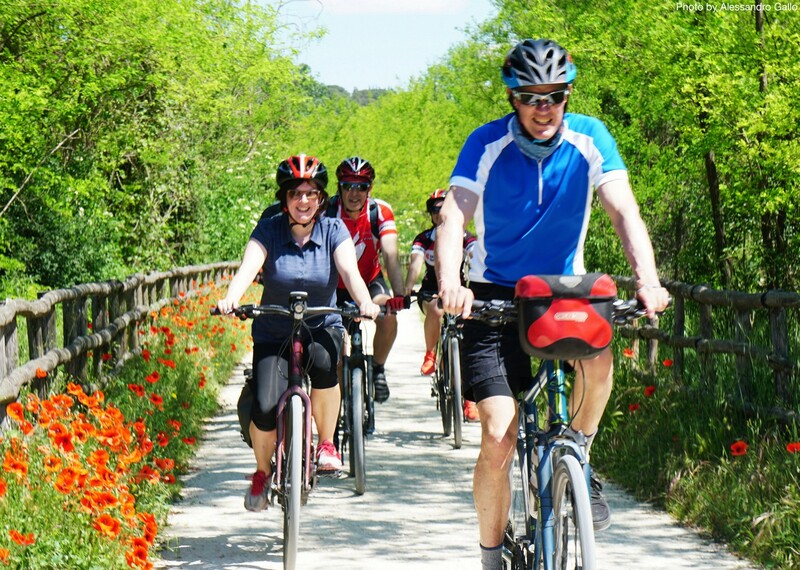 For an easier and more sociable holiday, I joined a guided group organised by the cycling tour operator Saddle Skedaddle, which has added the last 200 miles of the Via Francigena to its programme: a “leisure cycling” ride through the olive groves and vine-clad hills of fashionable Tuscany and Lazio. Every single day was a favourite – seriously! Really hard to choose a favourite as they were all so varied and filled with stunning scenery. Tuscany had the best views and the hills always offered up great views once accomplished. Lazio’s wheat fields and flatter landscapes were a nice relief later in the week! I did particularly enjoy day 6 which saw us explore the amphitheater park and cycle through Italian canyons. There was a great variety from modern and quite fancy, to more traditional yet still very comfortable accommodation. One of the highlights of the trip was rocking up to find out where we’d rest our heads of the evening. By far my favourite was the agriturismo which was like a little haven in the Tuscan countryside, i’ll always remember the pool with incredible view and our meal under the giant fig tree. Totally converted to Skedaddle picnics! So many amazing salad options each day, prepared by our guides and presented wonderfully. The cookie and juice stops were always strategically positioned before or after a big climb too – very well thought out! I’ve got so many amazing memories from this trip that I am going to cherish forever. A little tough at times, but the scenery, food and company were second to none and made those hills much easier to handle. 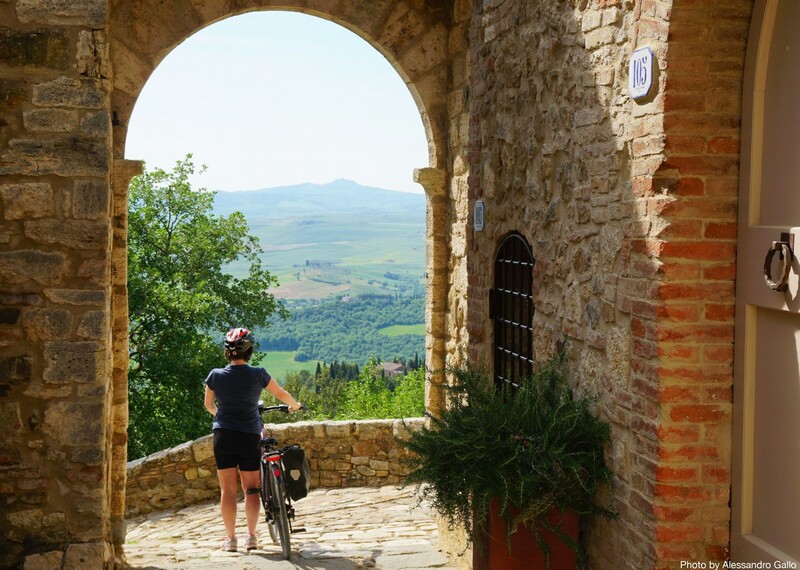 100% certain the best way to explore Italy is by bike now! Take me back! Overall a 9 out of 10. Excellent in all aspects, one of the best cycling trips I have ever been on, very enjoyable and would relive next week if I could. 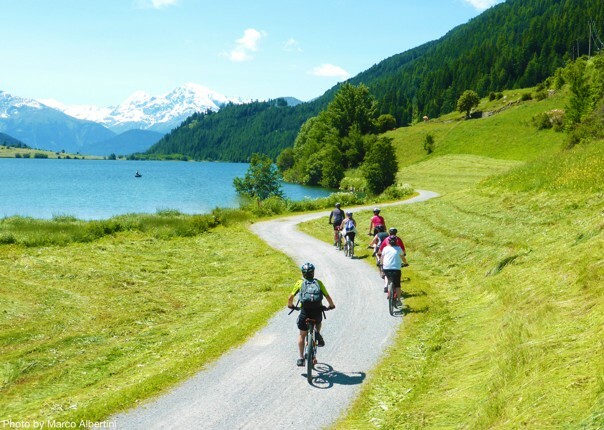 A great combination of beautiful landscapes, quiet off road cycling, superb, off the beaten track accommodation and good company! 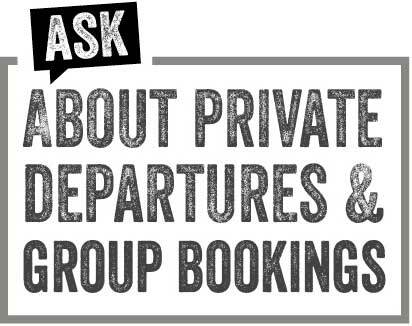 Everything was sorted before we left with reassuring calls from the office at Skedaddle. Accommodation was superb. Each one was unique with very welcoming hosts. The electric bike was beyond expectations, extremely powerful. The support vehicle turned up very promptly when there was any problem. Very impressive. Attention to detail was provided and is the reason I continue to book with Skedaddle! The post Customer Story: Repeat Offender appeared first on Skedaddle Blog.